Tamarack resort is a gorgeous four season resort in the central Idaho mountains near Donnelly Idaho. Since we are the top Idaho wedding photographer the homeowners at Tamarack resort naturally think of Todd Nichols Photography when they want fine art wedding pictures. 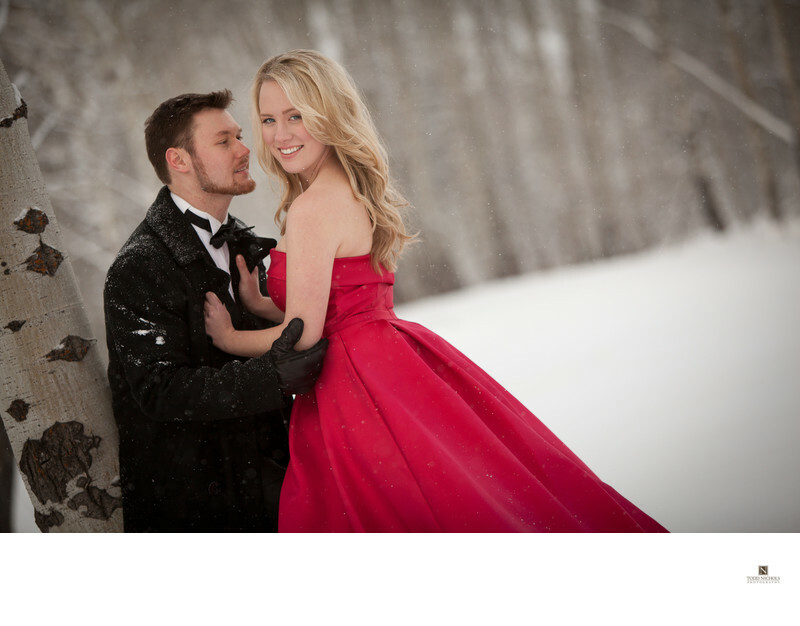 This couple wanted a very special snowy engagement session at Tamarack Resort with a red dress and tuxedo! I just love how we were able to capture this among the aspens and snow for them. Location: Tamarack Resort, Donnelly Idaho. Keywords: Tamarack engagement red dress (3). 1/1600; f/2.8; ISO 400; 135.0 mm.